Aggies finish off East Carolina on the road to improve to 5-1. The season is still young but N.C. A&T basketball (5-1) has already won more games in November than it won last season. The Aggies’ winning ways continued on Sunday with an 87-81 road win at East Carolina University. Aaren Edmead scored 25 points and Femi Olujobi, who leads the nation in scoring, chipped in with 23 points and nine rebounds, as the Aggies held off the Pirates in a back and forth ballgame. The Aggies led by three points at the break and shot 50 percent from the floor and 85 percent from the line for the game. NCAT’s win is its fifth of the year, compared to just three total wins last season. The only loss suffered by A&T so far this season was on the road at Clemson. The Aggies have three games remaining on their road trip, including a December 9th matchup with the Georgetown Hoyas. 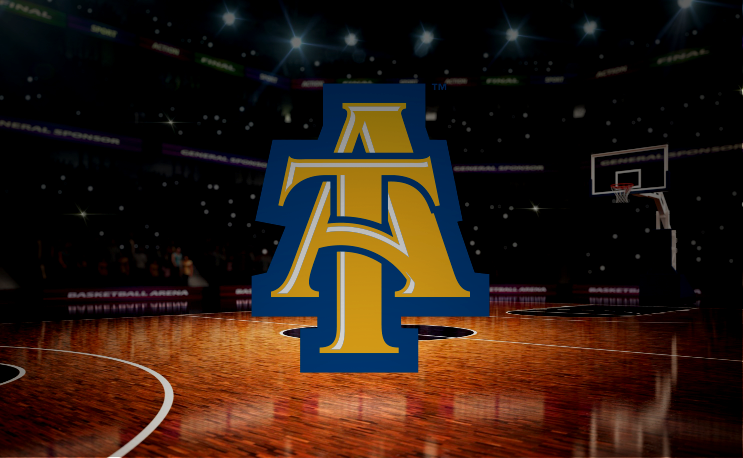 The next home game for A&T is on December 15th versus Tennessee State, which should be an exciting matchup for several reasons. The Tigers are an HBCU but play out of the Ohio Valley Conference. Anytime they schedule another HBCU out of conference, it adds an extra flair to the matchup. The Tigers are currently 3-2, with one of those losses coming at the hands of the Kansas Jayhawks.